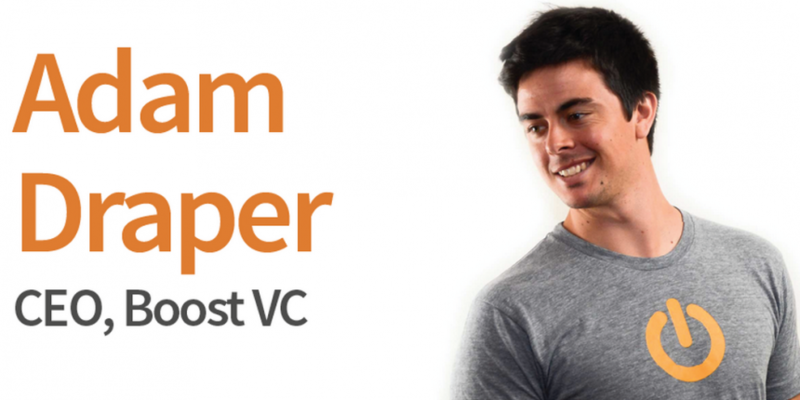 Adam Draper is the founder and CEO of Boost VC, a California-based startup accelerator that focuses on bitcoin related companies. Draper sat down with CoinDesk last week at Inside Bitcoins NYC to discuss the evolution of Boost VC, his interests in bitcoin, and his role in the digital currency industry. It’s a bold statement to make: Back in March, Adam Draper told CoinDesk that Boost VC planned to accelerate 100 bitcoin companies in the next three years. While there’s certainly no shortage of entrepreneurs looking to enter the digital currency space, Draper’s commitment to focus on bitcoin startups with his 18-month-old accelerator carries with it a particular level of risk. The industry is still in its early development phase, and the uncertainty surrounding future regulation could have far-reaching impacts for companies built on the Bitcoin protocol. Nonetheless, it’s a risk that Draper is willing to take. Draper is a fourth-generation venture capitalist who grew up watching his grandfather and father navigate careers in the industry. Draper noted that his father’s venture capital firm DFJ was the first firm to “only back Internet companies”, and that this set an example for him to take risks. Now, Boost VC is betting big on bitcoin. 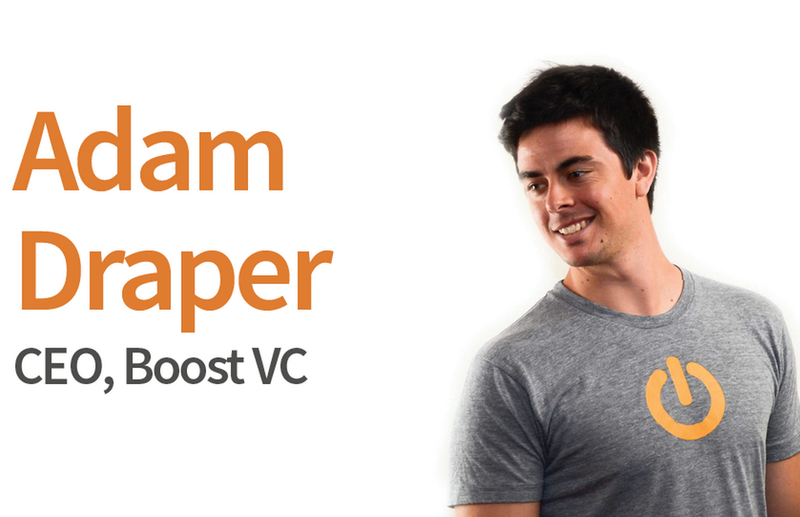 Draper founded Boost VC in late 2012 and the company has accelerated more than 40 startups over the course of three sessions, including companies like Gliph, BitWall and Coincove, to name a few. The first session of Boost attracted roughly 70 applicants, Draper said. This number grew larger for the second session, and by the third session upwards of 500 startups applied for a spot in the accelerator program. Similar to other accelerators, participants in Boost VC’s program receive an investment in exchange for equity in the company. Boost also provides a network of mentors for its startups and housing in downtown San Mateo, California. Draper said that he was surprised at how valuable the live-in situation has been for participants in the accelerator. He cited the close proximity in which the startups work as a benefit of the program. Many of the startups bounce ideas off each other and provide valuable feedback to their peers as they progress in the accelerator. With Boost’s commitment to accelerating 100 bitcoin startups, Draper undeniably has a lot of skin in the game. Bitcoin solves many problems that are inherent to today’s global economy, Draper said, and he has been most surprised by how quickly bitcoin’s popularity has grown and how resilient the technology has been over the past couple of years.